EDIT 04/13/18: All sold now, thanks everyone!. EDIT 04/13/18: One box got lost in the mail, and was eventually returned to me. Seller asked for a refund, so that means I have one more box to sell if anyone wants it. Happy to let it go for $85 USD - offer open to everyone, even if they previously bought a box. As always, first "I'll take it post" here gets it - but please confirm with me before sending Paypal. Thanks! Welcome to my second CPF Mystery Box sale! Following up on my Premium Mystery Box sale, I've managed to cobble together enough for a second batch of 11 boxes. There will be no more mystery box sales after this – once these are gone, that's all folks! This is my Mid-Range Mystery box offer, so I can only guarantee that at two (2) or three (3) lights will be from the premium brand names, specifically: Eagletac, Fenix, Foursevens, Jetbeam, Klarus, Nitecore, Olight, Rofis, Skilhunt, Sunwayman, Tiablo, or Thrunite. The remaining lights will be from the mid-range brands, including: Bronte, Imalent, ITP, Orcatorch, L3 Illumination, Lumintop, Lumapower, Nextorch, Niwalker, Ray Tactical, SkyRay, Solarforce, Xeno and Xtar. Note that many of these have equivalent build quality to the premium brands (indeed, the distinction is fairly arbitrary in many cases). Lights come from across my reviews, but with a focus on the older years this time. That said, I have made sure to include at least one fairly recent model in all the boxes. I've also included a few surprises in many of boxes. All lights are in the same condition as described in their reviews, with all extras and packaging included if I have them (a few are bare lights, although I've thrown in a mismatched holster that fits, if I had one). Given the slightly lower overall status, I am going to let these Mid-Range Mystery Boxes go for $90 USD shipped. Shipping to Canada and the US only. Sorry, no international shipping (the rates are just too high). All lights will ship Tracked Packet, Expedited Parcel or equivalent, with tracking and insurance. To give everyone a shot at this, I will limit the sale to one Mid-Range Mystery Box per CPF member - no exceptions. Purchasers of the premium mystery boxes are eligible to apply, as this is a new sale. First ones to post an "I'll take it!" to this thread will get a box. If you are among the first 11 posters, please paypal the $90 USD to me at selfbuilt@sliderule.ca immediately (no need to wait for a confirmation from me, as there are only 11 boxes). After that, I will add you to backup list in order of post (do not send funds if you are not in the top 11). Payment must be received within 24 hours of posting in this thread. I will hold a box for you for only that long, and will then offer it to the next backup poster here. Please do not ask for specific makes/models – I've already made up the boxes, and will not be doing substitutions. I've tried to vary the brand names within each box. All lights are sold as is, in good working order to the best of my knowledge. Please make sure to include your full name and shipping address – including phone number in the Paypal order, along with your CPF name so that I can match orders up (if you forget, just PM me afterwards with the missing details). I will confirm by PM/e-mail when the payment is received, and notify you with the tracking details within 24 hours of receipt of payment. And that's it. Have fun folks! P.S. 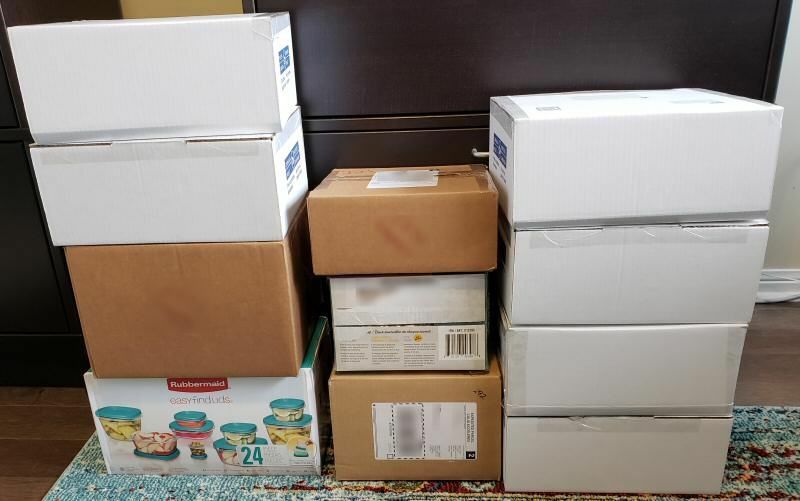 : As before, feel free to post what you receive in the general discussion opening thread if you want – the only mystery is what I pack, not what you receive! Last edited by selfbuilt; 04-13-2019 at 03:36 PM. In for one!! Where to send PayPal? Last edited by duffman; 03-16-2019 at 10:06 AM. Let the fun begin! Great idea selfbuilt! Arg. So tempting... Must not. I will take one. PP on its way. So now that the shelves are all cleaned out...what are you keeping? So that's five boxes sold, paid for, and shipped (tracking info sent, or available through paypal). Mainly engineering samples, customs/mods, larger lights too heavy to ship, and few old favourites. I still have some AA-class lights, but I give those away to friends, co-workers, etc. Don't expect I'll be doing too many more sale threads after this, maybe the occasional old classic, if I feel the need. Last edited by selfbuilt; 03-16-2019 at 02:04 PM. Last edited by egginator1; 03-16-2019 at 02:27 PM. I’ll take one! PayPal sent! Ty sir! Last edited by ninemm; 03-16-2019 at 03:05 PM. Sounds interesting. In for one! Last edited by busseguy; 03-17-2019 at 01:22 AM. PayPal received, that makes 8 boxes sold, 3 boxes left. Last edited by selfbuilt; 03-17-2019 at 12:34 PM. PayPal received, thanks. Box will go out tomorrow. Selfbuilt, I’ll admit after I have a package en route... but do you have any beginning resources for an 18650 newb? Recommended batteries, chargers, resources to read on it? Getting confused with unprotected vs protected etc; have access via esk8 projects to lots of unprotected LG 18650 but not sure if that’s a recipe for disaster because I’m not going to want to learn too much re: chemistry and all that; happy to adhere to generally recognized best practices. For the lights I'm selling, that's easy - only buy quality protected batteries, standard Li ion. You don't need super high capacity, special chemistries, etc. Button top is preferable, for maximum compatibility. Avoid all unprotected, and cheap brands (like ultrafire, trustfire, etc). As for chargers, I've always found the higher end Xtar ones (with read out displays) to be good value for money. Nitecores are ok. Sorry, I haven't been following recent trends, so don't know what a good general resource would be. But the above is good advice to get you started. Generally, you get what you pay for - don't skimp on quality. Thank you! Frankly, you have a proven reputation that pretty much I would only pay attention to maybe 10 others here with the same level of trust in terms of advice. Not interested in going down rabbit holes on info; and don’t need latest, greatest advice- reliable, time-proven advice was exactly what I was seeking. Really only was trying to figure out if I needed 3000 mAh 18650s, or unprotected for special modes/performance, etc etc. I was just trying to get enough info to price out being a noob and just ordering surefire self charging batteries or going to the trouble of the entire charging unit, battery comparison stuff. I had an imalent that had in light charging that I think complicated things enough it died; so just searching for the least effort/best advice ratio from someone. I didn’t find a sticky, so thought I’d ask. Thank you so much for this again! Thank you! Frankly, you have a proven reputation that pretty much I would only pay attention to maybe 10 others here with the same level of trust in terms of advice. I think there is a counterpart that has a similar reputation over in the battery section for his review on chargers...HKJ i think. Not a reviewer myself of course, but i would second the recommendation for XTar chargers. I have the Dragon, VC4, VC2 and SV2 that are excellent chargers. The SV2 hasn't stood up well to carrying around though, but i liked its 2.0V charging thus leading to the Dragon purchase. Note that these chargers also charge NiMH and some other chemistries. To get back on track,while i think i'll pass on this round (still playing with the lights i got in the last box and i'm on a budget) it good to see these boxes go so quickly. Free bump to the top for you selfbuilt! Excellent and thank you. My thought is to limit this habit, get a bunch of different lights for different needs, get the batteries, and be done for years and don’t obsess/spend too much sanity on this. I have way too little sanity left tbh. Super happy about a grab bag of different, yet quality lights, trusted, not latest and greatest but solid, and can keep me from going down this rabbit hole again. That's weird, it shipped on Saturday - will re-forward tracking info. FYI, for those who didn't get a PM/e-mail from me, check your paypal accounts - most of the orders have tracking directly linked through the paypal order. Just a reminder for all, please feel free to post the pics is the current unboxing thread, as this one will come to an end once the last of the boxes are sold.